Welcome to the first issue of the Presto Newsletter. The first ever, all-day Presto Summit brought together many Presto users, committers, and other big data analytics fans. Participants from over 40 companies joined us on July 16th. 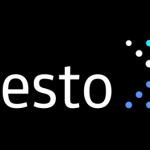 The agenda was filled with high-quality talks from some of the leading members of the Presto community.